The original concept for properties at The Lodges at Eagles Nest was to create large homesites, each with space and privacy, and carefully designed to maximize the long range mountain views. The homes were designed to be timeless and blend seamlessly into the natural beauty of the mountain, incorporating post and beam as well as timber frame construction with indigenous stone, rhododendron, and bark accents harvested from the property. 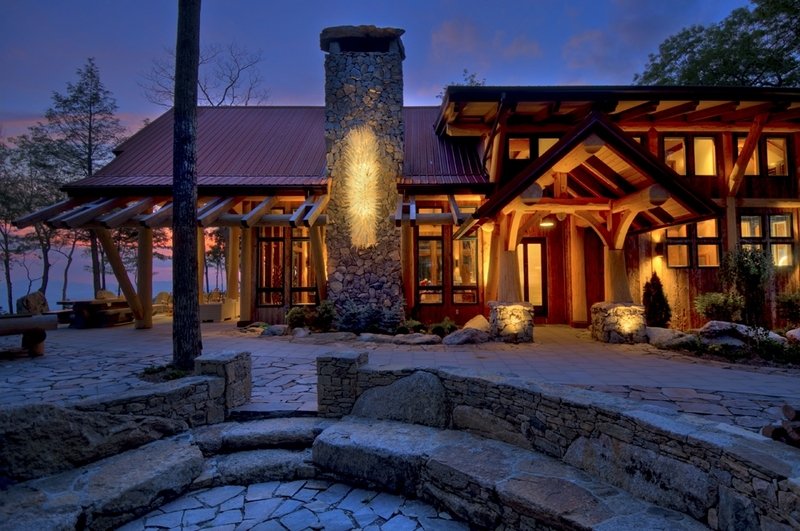 Simply put, the original homes built at The Lodges at Eagles Nest weren't built to be the biggest, but rather the most unique, infusing fine art accents with traditional Appalachian rustic elegance. View a gallery of John Turchin's unique Mountain Lodges and South Florida Estates and Request Information on Design and Consulting Services for your own Custom Home.